Psalm 67, which we recite each day towards the beginning of the Pesukei De'zimra service, opens with a prayer for divine grace and blessing (verse 2), and then proceeds to describe the results of this blessing. Namely, all nations on earth will acknowledge God, rejoice in the justness with which He governs the earth, and fear Him. 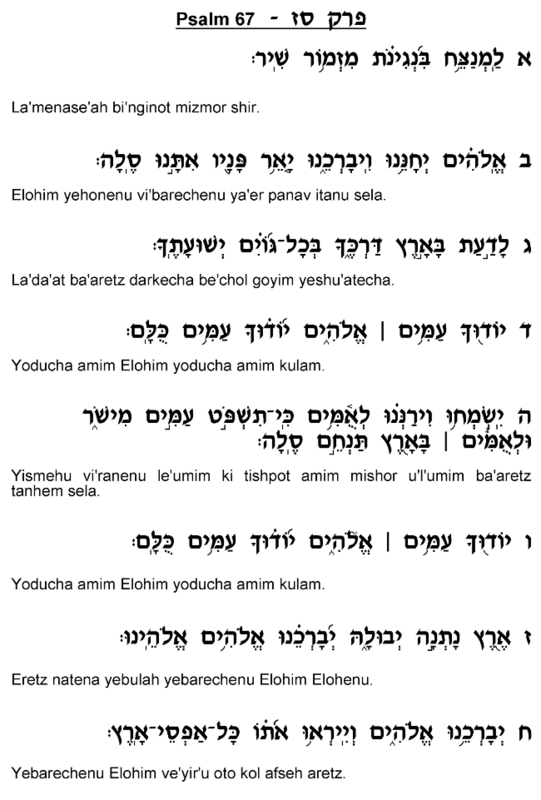 Rashi explains this prayer as referring specifically to rainfall, as indicated in verse 7 – "The earth has produced its yield…" Am Yisrael's success and prosperity will bring the world at large to recognize the Almighty's greatness and His kindness towards those who faithfully serve Him. 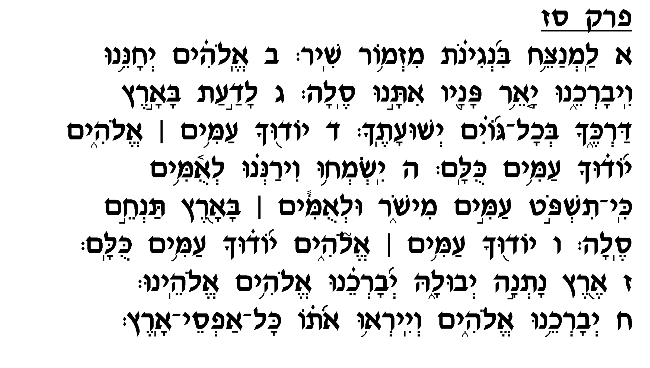 The Radak, by contrast, understands this Psalm as a prayer for the time for the final redemption, asking the Almighty that He continue to grant His people abundant blessing after the redemption in order to increase the other nations' recognition of His greatness. According to both explanations, this prayer asks God to bless His people for the specific purpose of increasing His glory throughout the world. We ask Him to grant us blessing, prosperity and success not for our own benefit and gratification, but rather for His own honor, as it were, so that across the earth He will be recognized as the Supreme Being and the true King over the universe.